It’s a good idea to wash your hands before you hold a snake. 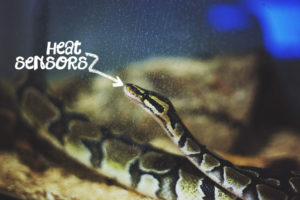 Snakes have very poor sight in comparison to other animals, so they depend primarily on their sense of smell to tell them whether or not something is edible. 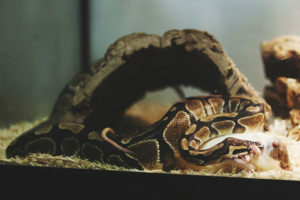 If you’ve recently handled meat, especially chicken, the snake may bite you because it smells the meat on your hands and thinks you are food. 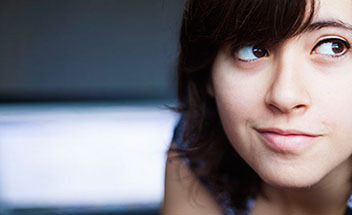 The same goes for if you’ve recently handled hamsters, mice, or other rodents. These creatures are food to a snake and having their smell on your hands tricks a snake into believing that your hands are food, too. 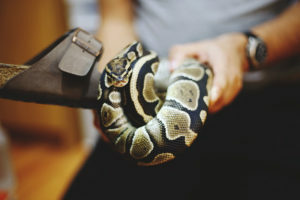 To be on the safe side, you should make it a habit to wash your hands before handling a snake; just so it doesn’t get the wrong idea. 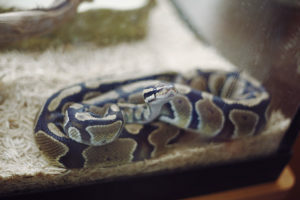 Needless to say, do not ever try picking up a snake, or sticking your fingers in its enclosure, after you have prepared its food. It will very likely try to bite since it will recognize the smell. 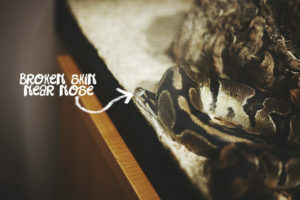 You should also wash your hands just after handling a snake. 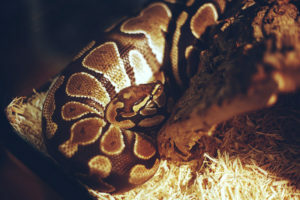 Snakes, as well as other reptiles and amphibians, often contain salmonella, a bacteria that you might have heard about in relation to under-cooked chicken. 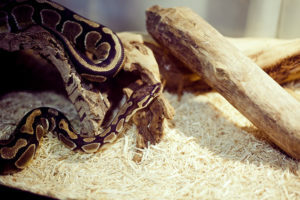 Although it is not 100% certain that your reptile or amphibian has salmonella, it’s a good idea to be on the safe side and wash your hands after you play with your pet. 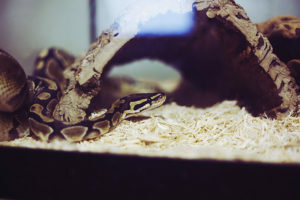 There is also a chance that salmonella will spread to any of of the things that a snake touches, making it a very good idea to wash your hands after touching anything in the snake’s tank. 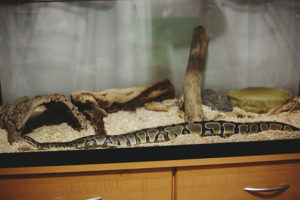 So do your best to wash your hands if you’ve: 1. just cleaned up after the snake, 2. rearranged anything in the tank, 3. touched any of the skin the snake has shed, or 4. changed the water for the snake. 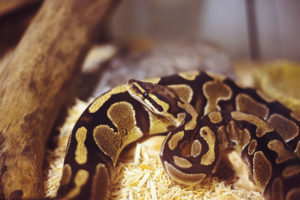 The bacteria needs to be ingested in order to do anything to you, so it’s not necessary to take a shower after you’ve played with your snake (unless of course you eat with your arms and legs instead of your hands). 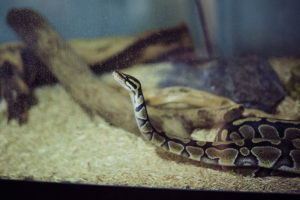 Since it’s pretty much impossible to diagnose a snake with salmonella just by looking at it, it’s a very good idea to wash your hands even if you don’t think your pet has the bacteria.